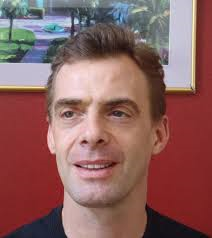 John Michael Cummings: is an American short story writer and novelist. His short stories have appeared in more than seventy-five literary journals, including North American Review, Alaska Quarterly Review, The Chattahoochee Review, The Kenyon Review, and The Iowa Review. Twice he has been nominated for The Pushcart Prize. His short story “The Scratchboard Project” received an honorable mention in The Best American Short Stories 2007. His first novel, The Night I Freed John Brown (Penguin Group, 2008) won The Paterson Prize for Books for Young People. He also published a second young adult novel Ugly to Start With (West Virginia University Press, 2011). The Night I Freed John Brown: Young Josh knows there is something about the tall Victorian House on the Harpers Ferry Hill, the one his father grew up in, that he can’t quite put his finger on—ghosts he can’t name, mysteries he can’t solve. And his impossible father won’t give him any clues. He’s hiding something. And then there’s the famous John Brown. The one who all the tourists come to hear about. The one whose statue looms over Josh’s house. Why does he seem to haunt Josh and his whole family? When the fancy Richmonds come to town and move right next door, their presence forces Josh to find the answers and stand up to the secrets of the House, to his father—and to John Brown, too! Faktorovich: How did you decide on writing a young adult novel, The Night I Freed John Brown, with an abolitionist historical theme? Cummings: I didn’t decide on YA. I was forced. Either “adapt” my memoirish, young-voiced novel to YA or, well, go unpublished. That was the message I got from agents and publishers alike. As far as subject matter, I was born and raised in Harpers Ferry. So it was dirty destiny. Five generations of my family have lived here, canal diggers the earliest and ugliest of us. The Catholic cemetery here is crowded with us. My great-great-grandfather was one of the town’s earliest constables. Constable? Isn’t that neat? Constable Mahoney Cummings. My childhood bed was across a narrow street from a window-front macabre wax figure of John Brown aiming a musket at our house. John Brown ready to shoot up my family! If I couldn’t scratch together a good novel about that nut and somehow put my spin on it, then my father was right—all the disapproval and disappointment on his face had been right. Boy, listen here, you have to be what you can, not what you want. Take it from me, he said, there are no dreams after you grow up, no stars in the sky after 16. Dad used to say with a sarcastic smile, And I wanted to be sea captain. He was a postal worker. I thought he should have been a sea captain, as he wanted. He thought I was foolish. In 2000, I was in New York City with my novel; in fact I had moved there because of my writing. I needed answers. I had to stop the rejection letters. I had already put ten years into writing. Journalism sure wasn’t for me. Short stories were too easy; I had already published fifty. They paid nothing, attracted little attention, and, most of all, were not a novel. I wanted to write and publish a novel. I was in my mid-thirties, and this billowing, discursive, uneven novel about life in a little town called Harpers Ferry was all I had, I felt. No wife, no children, very little money—I had written myself to the edge. Or into a corner, the corner bed of a youth hostel in lower Manhattan. Slowly I made my way in the big city. I worked at a literary agency, then copyedited for a publisher. Once I had an agent, I managed to get the attention of a Penguin editor on my manuscript, and things went along from there, though not easily. Not easily at all. The upshot was, my struggle with The Night I Freed John Brown had nothing to do with my poor self-esteem resulting from a harsh father, nothing to do with Harpers Ferry as a challenge to capture in young adult fiction, nothing to do with rich, meaningful, coming-of-age literary novels being phased out for glitzy, scant YA chick lit. The simple truth is, my writing wasn’t good enough to publish. It was uneven and weakly plotted. My language didn’t stay within itself as it did in short fiction. I strained and overreached, became showy for showy’s sake. My storyline zigzagged, stopped, and started again elsewhere. I was fairly natural at the short story, but I had a long way to go with the novel. A long way. Faktorovich: Do you think there should be more historical novels for younger readers? Did this novel sell well for course adoptions in public schools? Cummings: Sure, as long as they treat history with accuracy, impartiality, and integrity—you know, capture the values and virtues of the time, not just the details of the setting. But I’m not the best judge of YA. As explained, I was dragged into YA kicking and screaming. I don’t have children of my own, and yes, while I was once a child, I write as an adult to free myself of what troubles me, and in my mind I write to be read by my peers. My peers. Yes, they too were once kids, but for a dozen little reasons I can’t name, I just can’t get into writing with a child or even a teenager in mind. Which brings me to my first adult novel, Don’t Forget Me, Bro (Stephen F. Austin State University Press, Dec. 2014). It represents a great triumph in rich adult writing in long fiction. Don’t Forget Me, Bro is a double-fisted attack on stereotypes and disingenuous pity surrounding mental illness. Themes of childhood abuse, mental illness, and alienated families—this novel is no kid’s read. The book opens with the main character, forty-two-year-old Mark Barr, who has returned home from New York to West Virginia after eleven years for his older brother Steve’s funeral. Steve, having died of a heart attack at forty-five, was mentally ill most of his adult life, though Mark has always questioned what was “mentally ill” and what was the result of their father’s verbal and physical abuse during their childhood. The book unfolds into an odyssey for Mark to discover love for his brother posthumously in a loveless family. Don’t Forget Me, Bro is a portrait of an oldest brother’s supposed mental illness and unfulfilled life, as well as a redeeming tale of a youngest brother’s alienation from his family and his guilt for abandoning them. If my debut novel was a backward stumble into publication, then this new novel is a straight-ahead, bull-shouldered run into the end zone. If fact, much of what I have been trying to say in thirty years of writing has been sharply chiseled into Don’t Forget Me, Bro. Faktorovich: Penguin did a wonderful job on the cover for The Night I Freed John Brown. There is symbolism in the train tracks, the lake and the downcast sky. I also like the complex typography, with part of the transparent letters in the title and your name missing. And the photo of the boys running is very professional and artistically crafted. Did you have any input on how you wanted this cover to look? 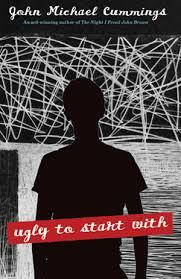 Your second young adult novel, Ugly to Start With, released with Vandalia Press, also has a symbolic and artistic cover, and this suggests that your input must’ve influenced the direction the publishers went in. Was this the case? If so, how so? 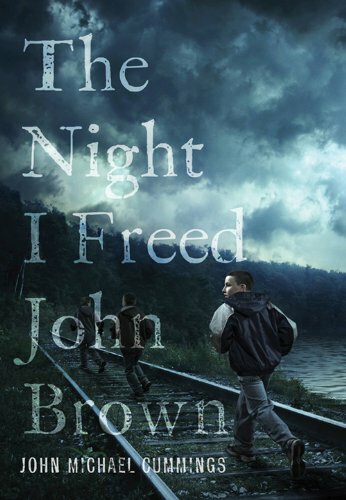 Cummings: With the cover of The Night I Freed John Brown, I had no input. But magic sure did. Not only is the imagery arresting, but it’s accurate to the actual location from which I drew a key dramatic scene. It seems my editor, her illustrator, and I were all likeminded. With Ugly To Start With, I was asked to pick one of five possible designs. But because I wanted to foster good relations with the staff and also because I believe creating a book should be a professional collaborative, I asked the staff to weigh in. Several of us chose the current design. With my new adult novel, Don’t Forget Me, Bro, I’m leaving the cover up to the editorial assistant. Why? Because she’s created them for other books, and she deserves a strong role in this book. Also, I really have no idea what works. There are tons of arresting book covers out there, but are they simply works of art onto themselves? Does the potential reader just look at them in interest or even amazement and do nothing else? Or does this person open the book and read? I would think an overly embellished cover might be a stopper, like having too much bread before the main course. Faktorovich: What has been your strategy for publishing over seventy-five stories with magazines and journals? Do you frequently re-submit to journals that published your work in the past? Has it gotten easier to be accepted after the success of your novels? Do you submit to journals that specialize in young adult, or in the genres that the short stories are written in? Cummings: Strategy? Ha-ha! I shotgunned my stories. Wherever they hit, they hit. At one time I tried to aim and fit my stories into journals. No luck. Not once even close. In fact, over and over, the least expected journal to accept my work did. I could hear chance laughing at me from the shadows in left field. Of course literary journals are usually “eclectic”; they are too varied to be pinned down. So it’s important to submit a lot and not to second-guess yourself. Get your polished writing aloft on the wings of chance. Think of it this way, we’re told to send out a hundred resumes to get three good responses. Well? Story submissions are not unlike that. It’s a matter of exhausting the bad odds. My advice: Break every rule. Those rules—no simultaneous submissions, no multiple submissions—are in place for editors’ benefit, not for yours. If you find yourself in an embarrassing situation with a journal editor, apologize, be respectful and earnest. Chances are, he or she will understand. Faktorovich: What genres do you prefer writing short stories in? It seems that you like writing about nature, violence and adventure? Is that a fair summary? Either way, please describe how the genres and styles differ between your short stories and novels, and explain why this is the case. Cummings: Well, I don’t really write short stories today. I focus almost entirely on the novel. Yes, nature, violence and adventure figure into my themes, but I’m mostly interested in toying with human nature, seeing what I can make characters do by motivation, showing people at their best and worst. Faktorovich: It seems that between Harry Potter and the Twilight Saga, most young adult books are in the horror and fantasy genre. Has there been a shift in popularity of ghost and other supernatural stories since you released The Night I Freed John Brown or is this likely to remain as a popular genre? Cummings: I know a lot of librarians and school teachers who could answer this question better than I ever could. Girls will probably always get excited the way a band of girls do, in a kind of craze, like a swarm of locusts. They are the readers, and it’s no secret that girls are usually in touch with their feelings well before boys are. There’s something sensual and magical and even dreamy and romantic about vampires apparently. Growing up is a particularly magical time. What is magical to us is what makes us all individuals. I hope this answers the question. Faktorovich: You keep alluding to the potential of the ghost of John Brown returning to “burn” a racist’s “house down,” suggesting that there is a possibility of an actual ghost showing up, without bringing ghosts in. Instead, you introduce the wax figure of John Brown that’s pointing a fake rifle at the narrator’s window in a neighboring house. You also bring in Luke’s dad to play John Brown in a forthcoming “big town play.” And then the narrator is asked to play John Brown’s son, Frederick Brown, in the same play. Were you deliberately delaying the promised introduction of the ghost by bringing in other related characters? What function does delaying the anticipated event play in modern young adult fiction? Did you use the potential appearance of a ghost to keep readers in suspense and interested in the more serious and complicating history and civil rights debate that meanwhile populate the book? Cummings: Yes, the ghostly white house invites the reader into the story. Then I remind the reader throughout that the old white house still needs a brave reckoning. It’s a common enough technique. In Don’t Forget Me, Bro, the suspended curiosity is deeper and richer. When do we give up? What is our breaking point? How can any of us born with the promise of life—intelligence, emotions, muscles—ever surrender? Faktorovich: You point out that the narrator’s dad was the last slaveholder left and that he’s racist. Did you insert this character flaw to create tension that made John Brown relevant for the narrator and for readers? Cummings: Yes, exactly, to make him just the kind of man who’d cause John Brown’s wax figure to melt! Faktorovich: Why have you decided to live in Harpers Ferry, West Virginia? As a professional writer, can’t you move just about anywhere in the world? What about the Caribbean or Hawaii, or lower on the east coast in Florida? Is it an amazing place to live in the middle of the Potomac River, and with all that history to the place? How did you first move there? Do you think you’ll stay there into your golden years, or will you eventually migrate south? You place many of your stories in that specific place, so I’m curious why it’s significant to you. Cummings: Well, as I said, it’s home. This place haunts me—and frees me. It’s heaven—and hell. One needs only to come here to know what I mean. Faktorovich: What was involved in the sale of your first young adult novel, The Night I Freed John Brown, to Penguin? Did you email or mail the submission to Penguin, and they just said, “yes,” or was there a more complex process to it? For example, did you meet a representative of the publisher at a conference, or did you win a contest to be read? Were you referred to the publisher? Did you find an agent that sold this novel to Penguin? If you found an agent first, how did you find an agent? Cummings: Ha-ha-ha! I’m sorry, but I have to laugh. Please forgive me if I seem boorish. But meet a representative? Referred to a publisher? Here’s what happened. An agent in the same New York zip code as me needed an excuse to play hooky from the agency for part of an afternoon. So because I was living nearby and happened to be home when she called, and, to be fair, because she generally liked my writing but thought it needed a lot of work, she asked me to lunch. I walked down three or four flights, stepped out into the screaming Manhattan sunlight, schlepped myself four blocks west to Starbucks, and there she was. So I did. I rewrote the rest. Patti Gauch tried to get me to be less hard-fisted in my writing, less “naturalistic,” I think she said. “Edit with feathers,” she often said. So I spent the next two years “on speculation,” meaning she’d cut me loose if I didn’t knuckle down and deliver. Nothing in my life has been by-the-book. Dying won’t be either, I suspect. I’ll likely suffer through hell, cause hospital machines to malfunction, annoy doctors, and generally make a mess of things until my last breath will be spent laughing at the ludicrousness of life. Cummings: ’Fraid it’s a glitch, and I’ve not been on the site in a while to see it. I’ll have to check it out. But it sounds like the female heel suits me! Wikipedia is great, as far as I’m concerned—the people’s encyclopedia. Faktorovich: What was the best advice you got about the writing process or about what good writing is when you were starting out as a writer that all writers hoping to publish a novel should hear? Cummings: I don’t know that I heard good advice in the beginning. In fact, I didn’t hear anything. I had my own mind about writing, and my ears were closed. I was not open to suggestion or criticism. Still, I must have heard someone say to emulate the writing I admired, because that’s what I did and that’s what I would suggest now. If a new writer, reading this interview, does not like the word “emulate,” then write in the spirit of the one you admire.